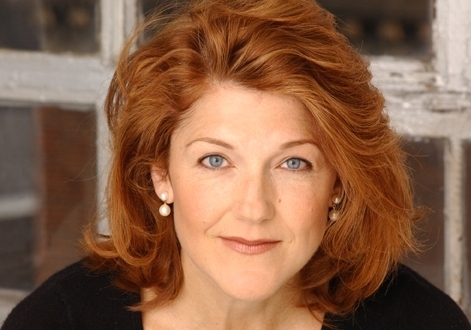 Recently, Ms. Clark was seen portraying the role of Gabrielle York in Lincoln Center’s heralded production of When the Rain Stops Falling, for which she received a Drama Desk Award Nomination. She also starred opposite Nathan Gunn in the staged production of The Grapes of Wrath at Carnegie Hall under the musical direction of her colleague Ted Sperling. Clark was also among the featured performers in Stephen Sondheim: The Birthday Concert held at Lincoln Center’s Alice Tully Hall soon to be televised on PBS. Ms. Clark along with her longtime friend and collaborator Ted Sperling gained rave reviews for their show entitled, “The Vicki and Ted Show” which debuted as a limited engagement at the famed New York nightclub, Feinstein’s at Lowes Regency. She delighted audiences appearing opposite David Hyde Pierce in Night & Day: Rob Fisher Celebrates Cole Porter as part of Lincoln Center’s American Songbook Series at the Allen Room and starred in a rare concert staging of the Kurt Weill musical, The Firebrand of Florence with the Collegiate Chorale, at Lincoln Center’s Alice Tully Hall. She continues her active concert career, appearing at Chicago’s Ravinia Festival and at Boston’s Symphony Hall, with the Boston Pops under the baton of Keith Lockhart. In 2007, she co-starred in the City Center Encores! production of Follies with Donna Murphy, Christine Baranski, and Victor Garber. Ben Brantley raved in The New York Times, “Ms. Clark proves again that she is one of the finest portraitists working in musicals.” In 2008, she returned to the Encores! series to portray another great character in the spring production of Juno, where she brought life to the challenging role created by Shirley Booth in Marc Blitzstein and Joseph Stein’s tragic comedy. She appeared in a limited engagement of Michael John LaChiusa and Ellen Fitzhugh’s new solo musical, Tres Niñas to rave reviews at New York’s Zipper Theatre. Clark starred in the New York debut of Craig Lucas’ Prayer for My Enemy at Playwrights Horizons and in the Roundabout Theatre production of Christopher Durang’s The Marriage of Bette and Boo. Clark also appeared in the Nicky Silver play, The Agony and the Agony, at the Vineyard Theatre. The talented actress began her love affair with the theatre as a child growing up in Dallas. At age six, with her grandmother’s guidance and encouragement, she started singing and piano lessons. At age 16, she was accepted into the musical theatre program at the Interlochen Summer Arts Camp in Michigan, one of the nation’s premier performing arts high schools and summer programs. Following graduation from The Hockaday School in Dallas, she studied opera at the American Institute of Musical Studies in Austria, the internationally renowned Mozarteum in Salzburg, where she performed in master classes taught by Giulietta Simionato, and at the Vienna State Opera where she studied with Gottfried Hornik. Clark continued her music studies at Yale University, where she starred in and directed several of the acclaimed productions by the University’s Gilbert and Sullivan Society. During her summers, she worked at the Chautauqua Opera in New York, enthusiastically performing a wide variety of jobs ranging from choreographer and chorus member to assisting the company’s artistic director Cynthia Auerbach and stage director Dorothy Frank Danner. Following her graduation from Yale in 1982, Clark moved to New York, where she assisted the renowned music historian Robert Kimball, her former professor at Yale. Bitten by the directing bug, Clark applied for and was accepted into New York University’s Musical Theatre Program’s Master’s Program as a stage director. Clark was one of six directors — and one of only two women — chosen for this innovative new program designed to foster the collaboration of aspiring directors and composers. During her first year in the graduate program, Clark started receiving directing offers from the Texas Opera Theater, the Philadelphia Opera, and other reputable opera companies throughout the country. She left the master’s program to pursue these opportunities, but found herself on the acting path again in 1985 when casting director Ira Weitzman, who had seen Clark perform at NYU, invited her to audition for the Stephen Sondheim musical Sunday in the Park With George. Clark joined the Broadway company of Sunday in the Park With George in 1985, and has been a Broadway regular ever since. She made a splash in Titanic when she created the role of Alice Beane, a second-class passenger with first-class dreams. She delighted audiences as sassy secretarial sidekick Smitty in the 1995 revival of How to Succeed in Business Without Really Trying with Matthew Broderick and Megan Mullally, and appeared in director Jerry Zaks’ Tony Award-winning revival of Guys and Dolls with Faith Prince and Nathan Lane. Clark also starred on Broadway as Penelope Pennywise in Urinetown and Fraulein Kost in Sam Mendes’ revival of Cabaret. She portrayed frantic mother Doris MacAfee in the City Center Encores! production of Bye Bye Birdie in 2004 and the Roundabout Theater’s production of the Rodgers and Hammerstein revue A Grand Night for Singing, directed by Walter Bobbie. Clark’s film credits include Cradle Will Rock (Tim Robbins), The Happening (M. Night Shyamalan), Tickling Leo (Jeremy Davidson), Main Street (by Horton Foote directed by John Doyle) and the upcoming independent feature Harvest (Marc Meyers), which won the Best American Independent Feature Film Award at the 34th Cleveland International Film Festival. Clark’s television appearances include “Mercy”, “Law & Order”, “Law & Order: SVU”, and the PBS special Sweeney Todd in Concert featuring Patti LuPone, George Hearn, and the San Francisco Symphony. She also enjoyed a recurring role on Garrison Keillor’s “Prairie Home Companion” on Minnesota Public Radio. While Clark is a much sought-after vocalist and actress, she has also enjoyed an illustrious career as a director, receiving numerous honors and fellowships for her work. In February 2005, she headed her first major New York directing project, Serenade in Blue: The Lyrics of Mack Gordon, a salute to the Academy Award-winning composer that was presented as part of the popular Lyrics & Lyricists Program at the 92nd Street Y. In the fall of 2007, Clark released her debut solo album, Fifteen Seconds of Grace, on PS Classics, garnering rave reviews. Clark’s other numerous recordings include the original cast albums of The Light in the Piazza, Titanic, A Grand Night for Singing, and Far From the Madding Crowd; the new Broadway cast albums of How to Succeed in Business Without Really Trying and Guys and Dolls; The Scarlet Pimpernel with Linda Eder; the soundtrack for Cradle Will Rock, and soundtracks of numerous Disney animated musicals. Victoria Clark studied acting with renowned acting teacher Michael Howard, his protege, Rebecca Taylor, and continues her vocal training with Edward Sayegh. She has an active teaching career, helping many aspiring actors train their voices for Broadway roles. Clark resides in New York City with her son Thomas Luke; their golden retriever, Angel; and their cat Dare.